I really felt I learnt a lot this past month. 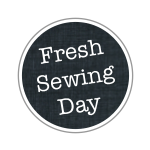 To sew what I love, to be brave, to be selfish and to trust myself. All things I plan on doing more of in August... so bring it on. I'm going to be hitting back at life this month, in a good way! Here's to bopping life on the nose! Great month! 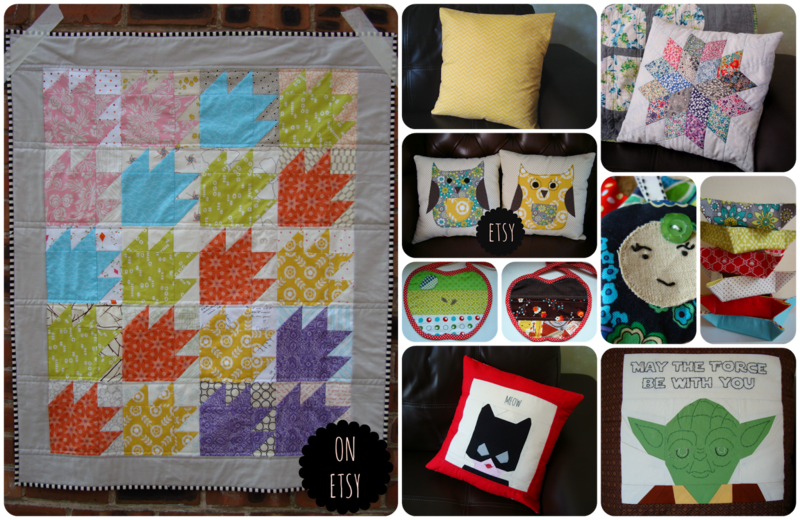 And some amazing items for your Etsy shop! What a cute collection you achieved this month! Visiting from Lily's Quilts. Love your makes and I think I've learnt the same lessons last month too! Chica I love seeing you in all of these things...I'm sending you a big New York hug! Cheers to staunch & fearless cat-women everywhere! Perfect makes, I love cat woman! Great month Lucy. Especially love the cushion in the top right. It looks like you had so much fun this month, Lucy! Good for you!! Just spotted the Liberty cushion you posted on FQR night - it's beautiful!!! Nice! July looks great...can't wait to see what August brings! Good on you! You've been very productive, I'm scared to see what August will mean, hahaha.